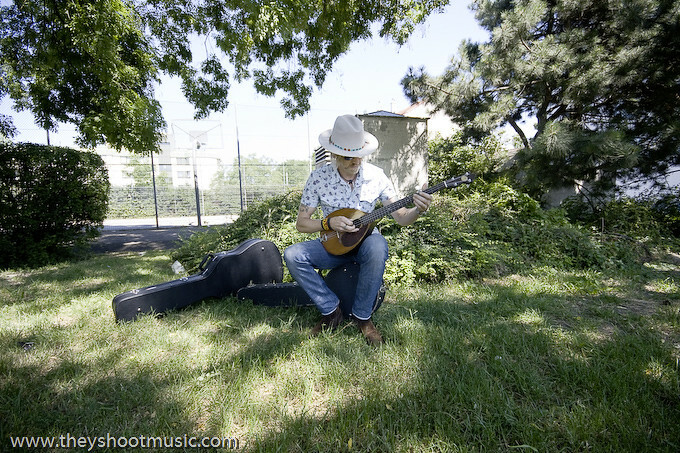 A characteristic appearance like David Eugene Edwards is a rare sight in Vienna. 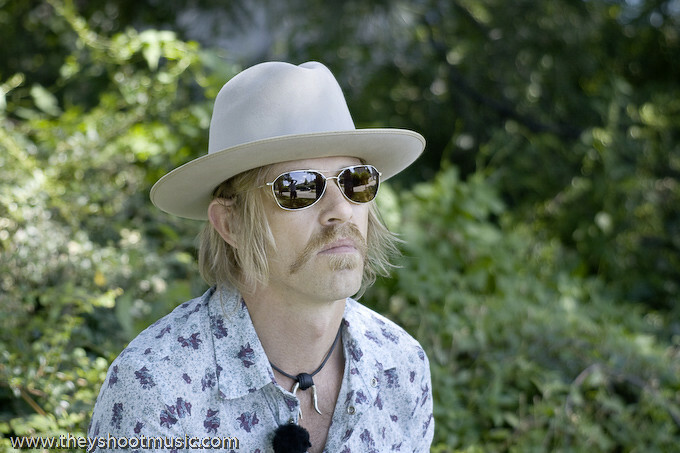 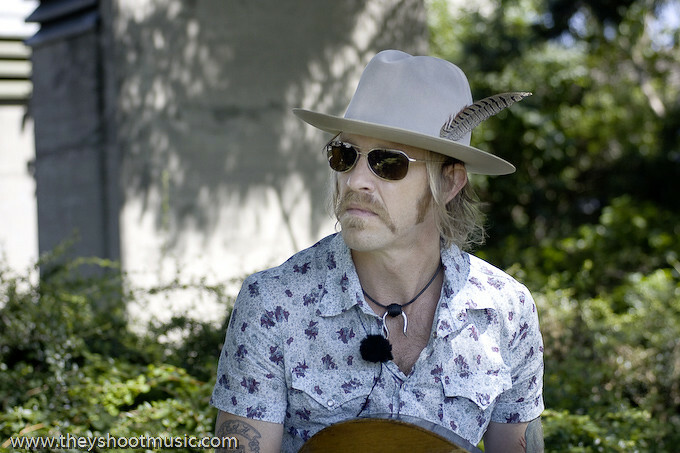 When we meet up with the Colorado-based 16 Horsepower and Wovenhand frontman on a hot and sunny July-afternoon, it feels as if not only he came from another place, but another world, with his cowboy hat including feather, necklace, wristbands and a 19th-century instrument resembling a banjo or a mandoline. 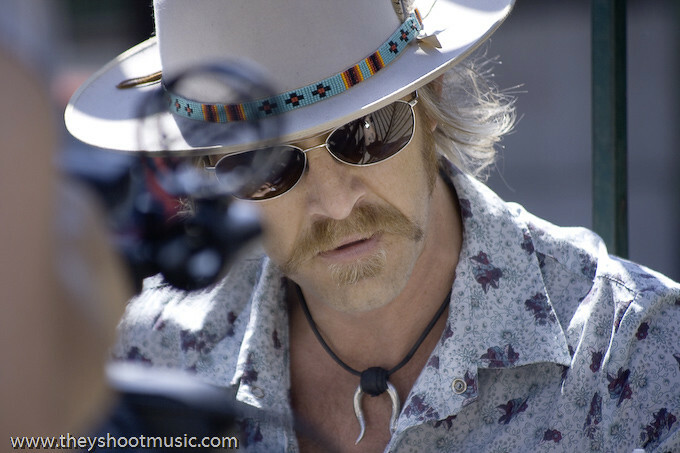 His strong aura even shapes our perception of his surroundings, and suddenly the car lot he sits in front of while playing “Kingdom Of Ice” looks as if it were in a desert village somewhere in the American West, and not in Wien-Simmering. 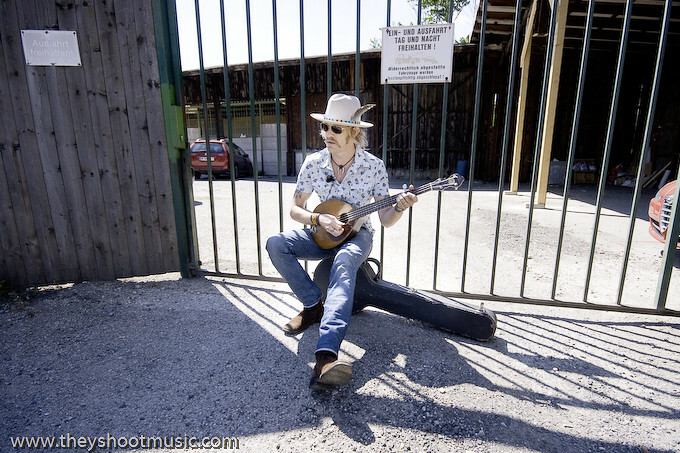 Just earlier he performed “Sinking Hands” in front of a football cage around the residential neighborhood in the streets behind the Szene venue, with a kid kicking the ball in the background. 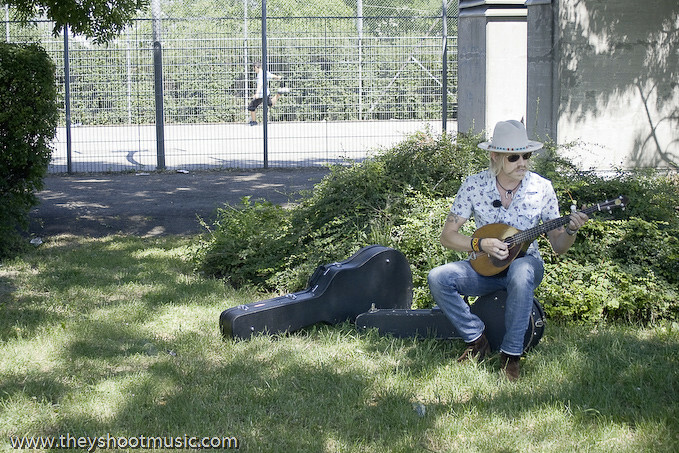 It is a laid-back video shoot, the way we love it, just walking around for a few minutes and choosing nice places together with the artist – and then get to watch a great music performance.